There is always a way to enjoy an even higher level of security and to get out of difficult situations involving locks and keys. Discover the right way by reading the tips provided on this page, which is dedicated to the locksmith field. They will surely be of great aid to you. 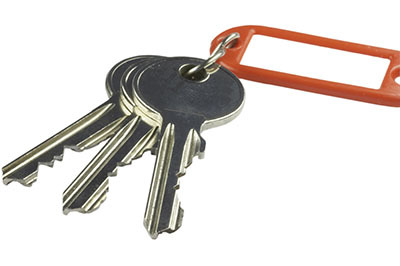 The purpose of lock rekey is to offer people the chance to use a new key to open and lock the door. When the new house has been used by other tenants in the past, it's best to take precaution measures. You can never be sure whether someone will return and use the same key to get access to your house. There are similar risks even if the house is inhabited for the very first time. From landlords to realtors, anyone could walk into your house. When our experts rekey the locks, they hand you a new key. The tumbler of the lock changes and so is the key going with it. Most people don't use every door of the house on a daily basis. If you usually come and go through the garage and only use the front door occasionally, you probably don't know whether the back door locks or the window locks all work alright. Since lock repair must take place as soon as you discover something wrong with the lock, it's essential to check the locks at least once a week. You should lock and unlock the doors and windows several times and make sure they are resistant and free of rust. Also check the condition of the keys so that you won't have unpleasant surprises or go through a house lockout.